Unlimited calls and SMS texts! (restrictions apply). 12 month contract. Full terms and conditions below*. Signing up for this service implies agreement with the SIM – Terms and Conditions given below. This service costs £13.50 a month. Proceed to complete direct debit details here. Term – 12 months. This is renewed automatically annually. Cancellation policy – Customers may cancel at any time after 12 months. Billing will run to the end of the month of cancellation. Cooling off Period – Customers have the right to cancel the contract within 30 days. However the customer is liable for any calls or text used during the period before the SIM can be deactivated. 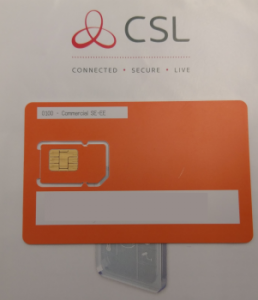 Use – The SIM must not be used in any other product other than a 2T-Technology GSM device. Roaming charges – This SIM will not incur roaming charges for customers travelling within Zone 1 Europe (certain restrictions apply) and will be disabled from making roaming calls to outside of Zone 1 Europe. Overcharges – This SIM is an unlimited calls and unlimited SMS contract. Customers should not be charged for additional minutes or texts. There is no data with this SIM. Full terms – By accepting this agreement, customers are also signing up to eir customer terms, fair usage policy, and agree to comply with same. Data Protection – 2T-Technology will not store your payment information, or personal details. Only your email address will be stored. Your intercom phone number will be stored separately by eir on their portal. Liability – Access Security & Control Technology Ltd, trading as 2T-Technology, are not liable nor accept liability for any loss, damage, loss of business, inconvenience, injury, death, or costs incurred due to failure of service, outages, or connectivity issues.